Parkside at Westphalia - Delmarva Site Development, Inc.
Parkside at Westphalia (formerly known as Smith Home Farm) has been a staple of Delmarva’s portfolio since 2012. This master-planned community sitting on over 750 acres of land consists of numerous single family and townhouse units as well as a large 150 acre Central Park. Our team continues to work closely with the client to meet delivery schedules and to ensure that the development production stays ahead of builder demand. 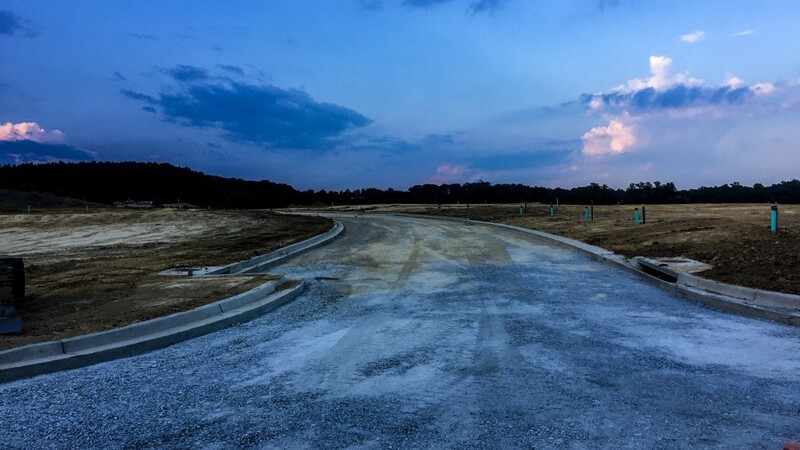 Throughout Delmarva’s tenure on this project, our firm has provided turn-key development packages for each phase of the Parkside at Westphalia project. Our team has worked tirelessly to deliver the entire scope of work for each infrastructure package and bring this property from raw land to finished lots that are ready for vertical construction. Demanding deadlines, problematic soils, and unfavorable weather conditions have made this development challenging, but our team has endeavored to guarantee that the clients needs are met.